A century apiece from the New World Te Puke opening batsmen against Bond & Co Tauranga Boys College, set the platform for a match that produced over five hundred runs, in the third round of the Williams Cup played on Saturday (16 February 2019). Tai Bridgman-Raison and Blair McKenzie, produced an opening stand of 243 runs, to anchor their sides total of 283 for the loss of three wickets. Bridgman-Raison belted 128 runs while keeper Blair McKenzie, who finished with his second three figure score in eight days, hit 112 runs. Bridgman-Raison posted a new Western Bay and Te Puke Club mark of 15 centuries, with his second ton against Tauranga Boys this season. The Tauranga students weren’t fazed by the very big target and set out on the run chase at a solid clip. While the Te Puke bowlers won the battle between willow and leather, Tauranga Boys got through to 232 before defeat. Niven Dovey and Taylor Bettleheim continued their sterling run of form to post half centuries, with Cameron Templer reaching the forties. Former TBC player, Mikaere Leef, took three wickets for the victors. A Nick Hendrie century led the way for Eves Realty Greerton, who set Carrus Mount Maunganui a very big challenge, when they reached 259/7 in their turn at bat. Pip Thickpenny posted 59 runs with Lee Watkins chipping in with a handy 39. Henry Conway and Nick Smith took two wickets apiece for the visitors to Pemberton Park. Recent Greerton arrival Michael Rowlands celebrated his first team debut, taking four wickets for 28 runs, with Josh Bates returning identical bowling figures. Mount Maunganui were removed for 154, to give Greerton a big 105 run victory. Nathan Walker top scored for the Mount with a gritty 37, with Matt Golding reaching the twenties before dismissal. 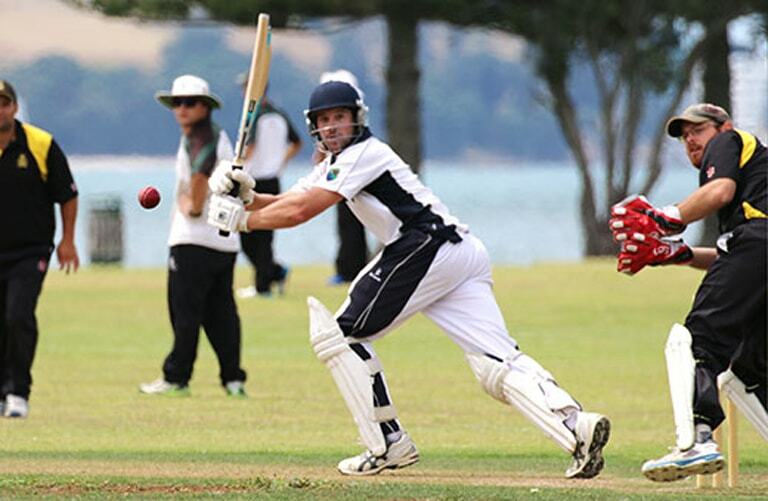 Element IMF Cadets moved to the top of the Baywide championship standings, after cruising to victory against the GM Painters Lake Taupo XI in the Great Lake region. Cadets bowler Sam McLaughlin, made the most of his call-up from his clubs second team to take three wickets, as the home side were bundled out for 97. The Taupo bowlers enjoyed some success taking three wickets, before Cadets kept their winning start to the Williams Cup intact. Cadets youngster Jacob Logan top scored with 47 runs. Bayleys Central Indians the bye. Points Table (Provisional) Cadets 18, Mount Maunganui 12, Central Indians 12, Te Puke 6, Greerton 6, Tauranga Boys College 0, Lake Taupo CC 0.